This was a very enjoyable read. I fell in love with the characters and the story immediately. My heart went out to Maggie as she goes through hell dealing with her share of low life losers of men, losing her job, and then with her grandmother dying. I admired her for her strength and endurance as an independent woman dealing with all the tragedy in her life. 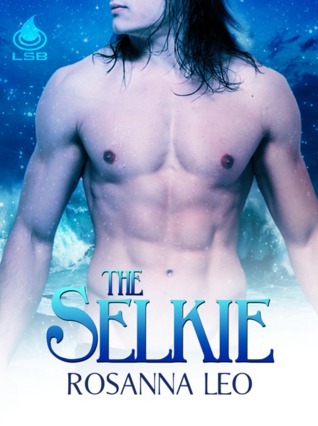 Calan the selkie was to die for - he was a total package of dreams, desires, and soul melting magical catch. The dude had me falling in love and catching my breath as I read the scene of him singing to Maggie in the pub. One thing for sure and that is Calan and Maggie's romance was passionate and heated up the pages throughout the whole book. What was really enjoyable about this book was not only the happy ever after ending but how smooth flowing it read. The story's concept about the Selkie legend was very interesting. Here are a couple of things that caught my eye and had me wanting to know more about the Selkie world. "human women who are unsatisfied with their love lives can seek the love an immortqal selkie man. They need only cry seven tears into the sea to call him. He will then shed his animal skin, come to her in human form, and love her as no human man can. But eventually, he will want to return to his beloved sea. However, if the woman steals and hides his selkie skin before he can put it back on, he will be her captive until he finds it." "When a selkie man falls in love, he can bind his woman to him by mating with her in the sea. She then becomes selkie too, and he can never lose his skin to another. They mate for life." Very cute and sweet read indeed, it had me smiling in the end. I look forward to reading more works by Rosanna Leo. I love the Selkie type stories and to be set in Scotland...yeah I'll be reading this one. Hello Ronda. Thank you so much for this lovely review and for posting it to this amazing site!